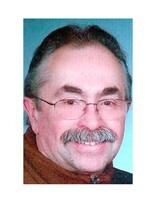 Thomas Gardiner Winter, 64, died April 23. He was born in Seattle to Jack and Edith Winter, and is survived by guardian parent Jane Brown. Tom served the Lord. He loved Carmen, his wife of 26 years, and their son, John; daughter-in-law, Mandi; and daughters, Jamie and Amelia. His fondest memory was when he unexpectedly delivered baby Amelia at home! Tom attended Corvallis High School and Oregon State University. He enjoyed car shows, swap meets, the Reno Air Races and restoring vintage American automobiles. With an eye for art, Tom commissioned and published nine lithographs capturing historical aviation events. Many will remember him for his gift of gab and his sense of humor. Donations for expenses can be made at any OSU Federal Credit Union. A memorial service was held at 1 p.m. Tuesday, May 17, at Calvary Chapel of Corvallis, 2125 N.W. Lester Ave. In those awkward teen years at Highland View I first met Tom when a group of us formed a model car club. Tom was just the next block down on 12th St. from my parents house, so getting down there to share our enthusiam was a short walk. We eventually got our own car shows within the real ones out at the county fair grounds, or down at Vunk's cycle shop, where Mrs. Vunk would be the one selling us models. In meeting Tom's parents I learned that his dad was a professional artist at OSU, and there in the house were the tissue drawings of the OSU Beaver that was everywhere back then, the more gentle version that was on decals and everything else, thanks to Tom's dad drawing it up! One time they were gone for the weekend, and when they came back the garage held a real nice model T Ford roadster, his dad's pride and joy. Soon after, a gorgeous 1958 Corvette was Tom's car! Too soon after that his dad passed, no more dropping in on our modeling sessions with his creative ideas. His mother Edith was a real sweetheart, and she carried on admirably. I remember her pride in a brand new Ponitac LeMans, midnight blue, no doubt guided there by Tom's car craze. All too soon Edith passed too, so the kid so lucky to have his parents buying cars didn't seem so lucky anymore. By the time we entered OSU Tom's was pretty distracted by the Corvette modifications going on in the garage there at the house. I worked on them with him for awhile. Back then he used to like to joke that if a coed asked him which "house" he was in, meaning of course which fraternity, he'd say, "my own!" Within a couple years I've moved up to Seattle, and lost touch with Tom. So long Sea Bass!